If you are looking for an awesome side hustle or if you just love taking really professional pictures of your friends and family, portable photo booths are the best way to go! 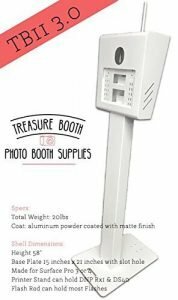 After spending hours to research and discuss with my professional friends in this photography business, I have put together a list of top best portable photo booths you can buy. The Photo Booth Package 5 is a cubic photo booth comes with 5 basic pieces of equipment which you need to start a small business. Whether you are looking to post flip books for Instagram(even supports Instagram videos), or if you want to upload all your pictures directly to Facebook. 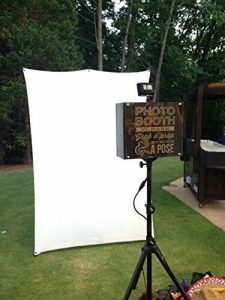 The Photo Booth Package is one of the best portable photo booths to make your presence known on major social media platforms. The Treasure Booth TB11 2.0 is actually much more compact than its name! 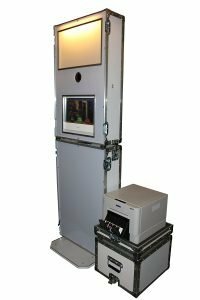 It is one of the smaller portable photo booths available on the market which makes it easy to transport. It will fit in any vehicle. The Treasure Booth comes with all the hardware that you need. On top of that, the base plate and the rod that comes with it is great. It also comes with an attachable printer stand which you can easily use to connect your printer. 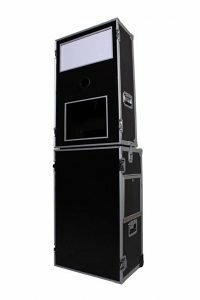 The Ts200 Photo Booth is made of durable material that makes sure your photo booth lasts for a long time. It is also compact and hence easy to carry. The Ts200 comes equipped with all the hardware you need to get started with your business! The great thing about the Ts200 is that it is extremely compatible with a variety of different equipment. It is available in two different packages, so you can choose the one which suits you the best. The Inventive Photo Booth really steps up the convenience for you. It is convenient to handle as it breaks down and sets up very easily. With the Inventive Photo Booth, you can rest assured that the quality of pictures produced will be great. It also allows you to set up the portable booth in 4 different ways. Inclusive of top quality products, the Inventive Photo Booth is also known for having excellent customer service. The Portable Tablet Photo Booth is made of a thick acrylic material which makes it strong yet keeping it lightweight. The Portable Tablet Photo Booth is great for an event of any type. It also includes a shoe mount which enables you to use the LED lights that come with it. 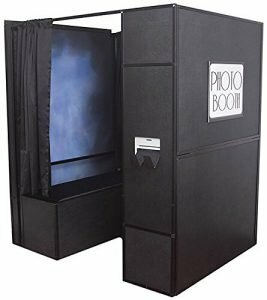 If you don’t like renting photo booths for events, this is very affordable to purchase. This is the premium quality photo booth with LED light. It’s already integrated with an 11” touch screen laptop, a professional DNP printer, wireless keyboard, and an HD 1080p camera. Not cheap though. 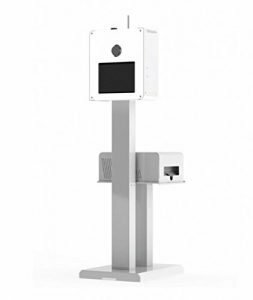 Why I love and include this as one of the best portable photo booths? Well, this one looks sleek and sophisticated. We hope you pick your favorite one from our list of the best portable photo booths and get your business up and running. You can easily make some extra money or maybe even make it a full-time business!